While we’ve gotten much more rain this year than in past years, we could use more. I’d love to see the sky go black, hear some good thunder, and feel the rain coming down again. During one of our spring rains my daughter and I had lunch at the Whole Foods mother ship (as we sometimes call the headquarters) and walked around downtown Austin in the rain. 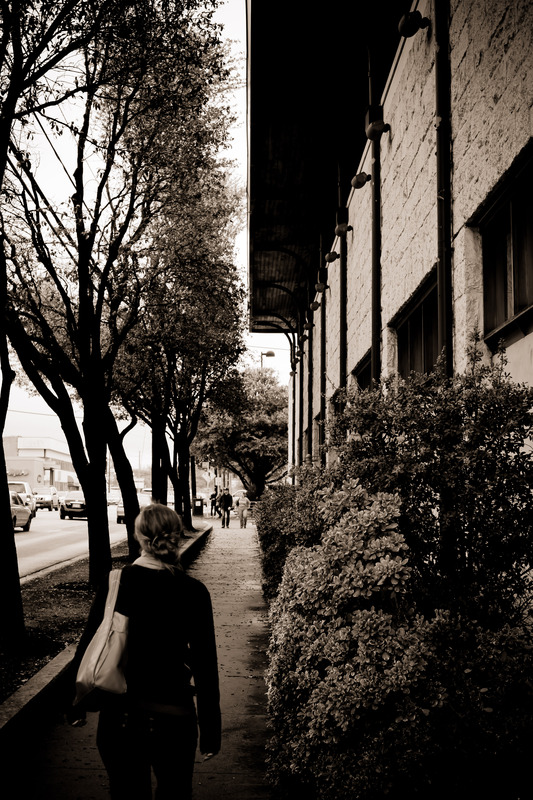 I went monochrome, super contrasty, and dark/moody with this shot of my daughter walking along Lamar Blvd. For most of our walk I had to keep the camera put away — too much rain — but we had a lull here.